Welcome to Cedar Gables Bed and Breakfast in Niagara on the Lake, a relaxing country retreat in town. 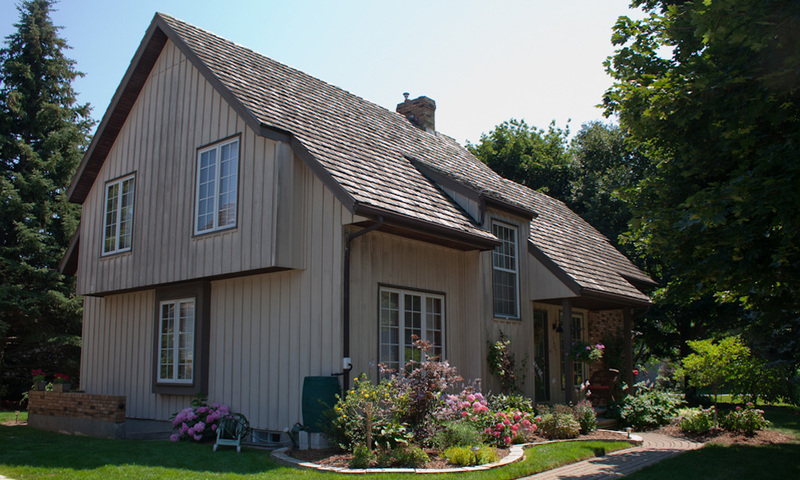 Cedar Gables is just a five minute drive, or a scenic 20 minute walk, from Queen St. in the center of town. Whether you enjoy a casual stroll among the shops and restaurants of Queen St., or an energetic hike along Niagara's Bruce Trail, Niagara on the Lake is the perfect place to get away. After a long day of exploring Niagara on the Lake's wineries, golf courses and theatres, Cedar Gables Bed and Breakfast welcomes you to unwind, whether you're reading a newspaper in the airy living room, or enjoying a cup of tea by the pond. Cedar Gables Bed and Breakfast is also home to our two cats, Benson and Hedges, and our dog, Molly. Our priority is making you feel at home. If there is anything we can do to make your stay enjoyable, just ask! Cedar Gables is a member of the Niagara on the Lake Chamber of Commerce and Places to Stay Niagara groups.